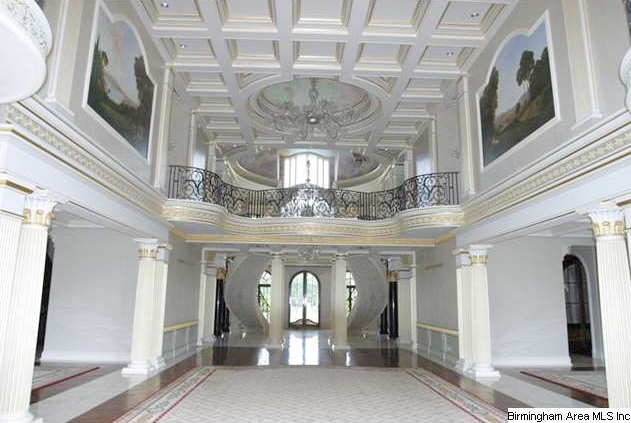 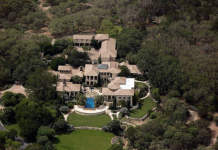 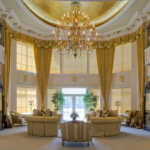 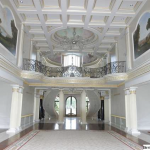 Great Room #1 – Pictures #1,2 – The great room is located in this 28,000 square foot mega-mansion in Tampa, FL, which is on the market for $17.5 million. 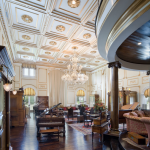 It boasts beautiful dark wood floors, oversized antique furniture, and coffered ceiling with gold leaf. 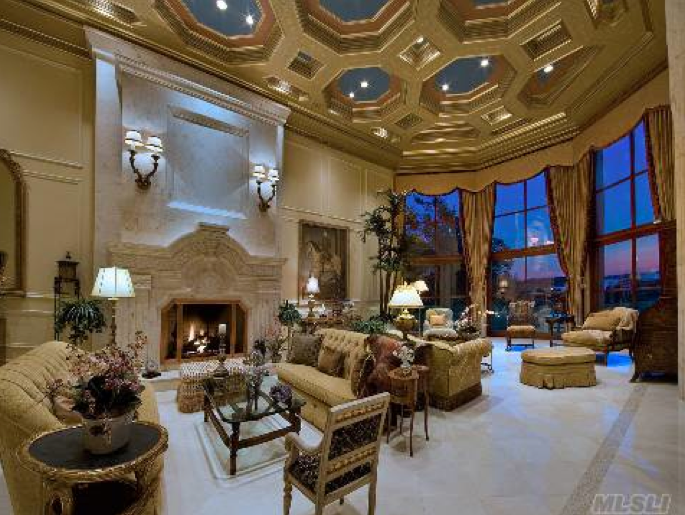 * One of my favorite great rooms EVER! 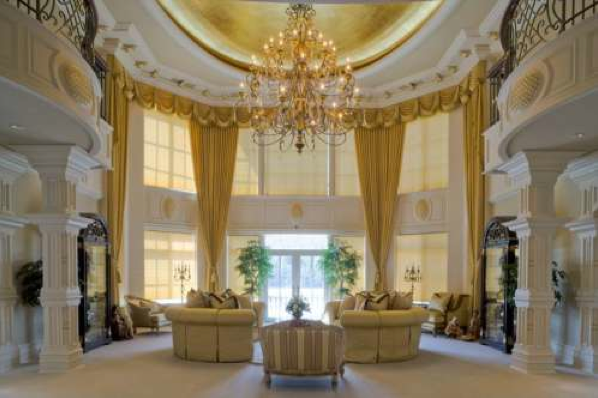 Great Room #2 – Picture #3 – The great room is located in this 28,469 square foot mega-mansion in Post Falls, ID, which is on the market for $19.995 million. 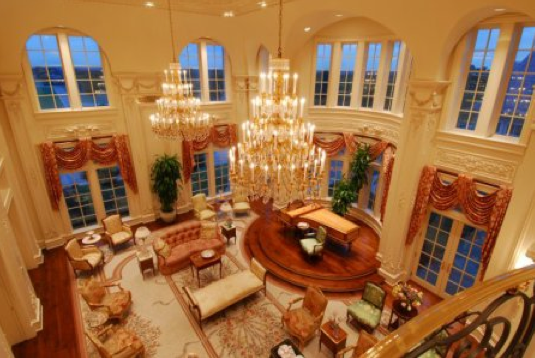 It boasts a tray ceiling with gold painted dome, floor to ceiling drapes, and two huge balconies. 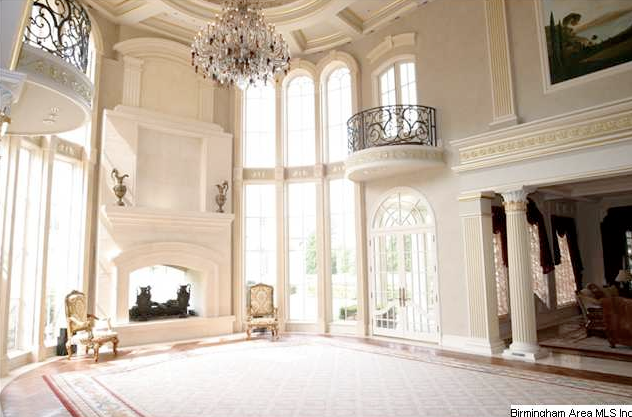 Great Room #3 – Picture #4 – The great room is located in this 18,000+ square foot mansion in Sands Point, NY, which is on the market for $17.5 million. 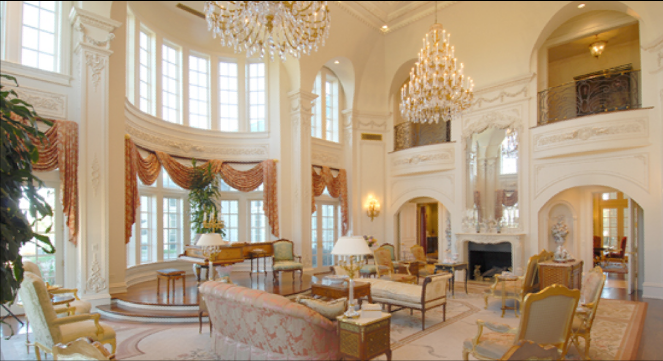 It boasts a coffered ceiling with custom lighting, massive stone fireplace, and floor to ceiling picturesque windows. 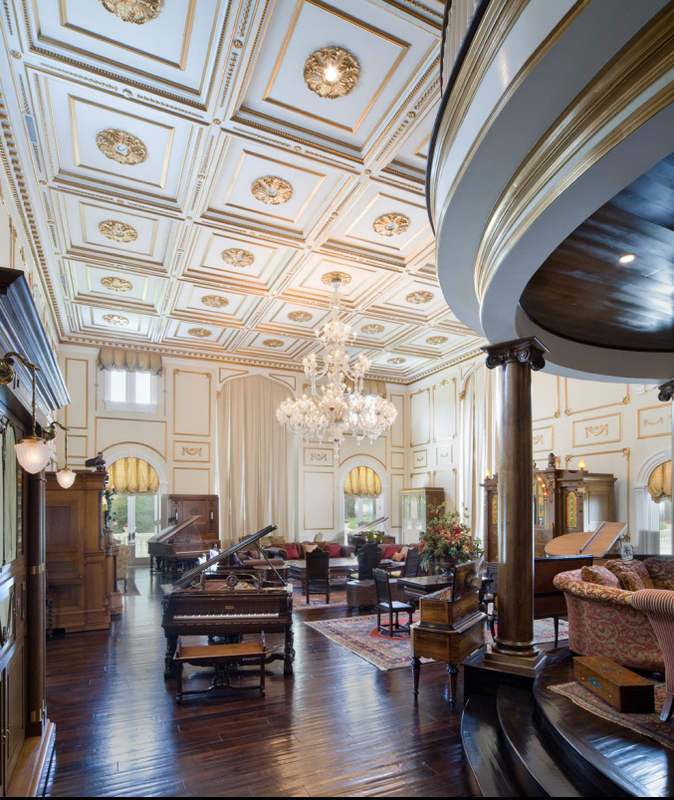 Great Room #4 – Pictures #5,6 – The great room is located in the 36,000+ square foot Champ d’Or Estate in Hickory Creek, TX, which is on the market for $69.9 million. 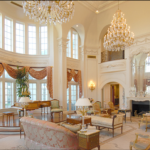 It boasts crown molding, wood floors, arched picturesque windows, french doors, step-up piano area, 2 balconies, 2 crystal chandeliers, and a marble fireplace with mirror above. 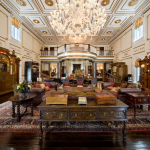 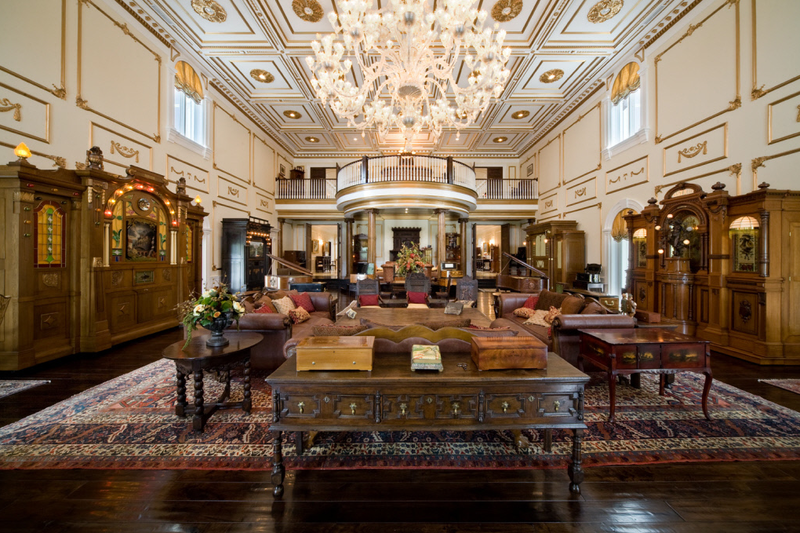 Great Room #5 – Pictures #7,8 – The great room is located in this 50,000 square foot mega-mansion in Birmingham, AL, which is on the market for $17.9 million. 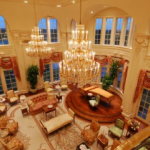 It boasts a coffered ceiling, french doors, 2 balconies, crystal chandelier, floor to ceiling windows, and a massive fireplace.